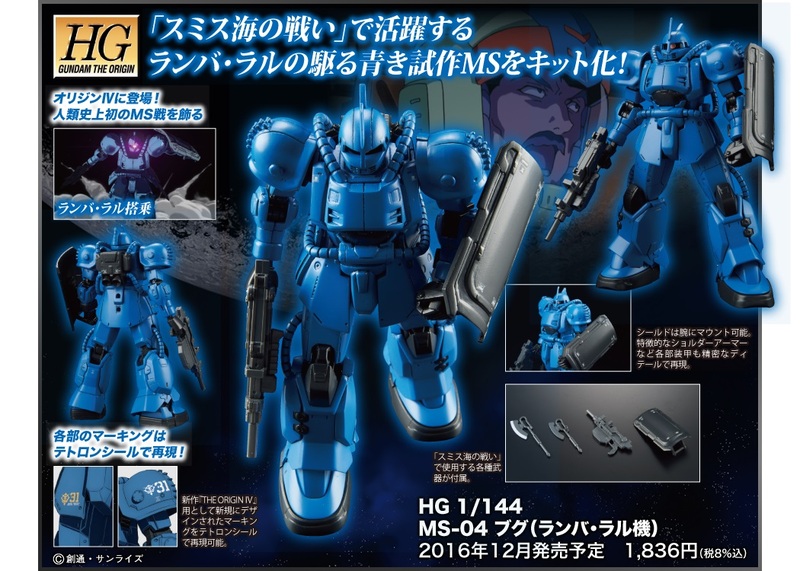 Ramba Ral’s prototype mobile suit used in the 4th episode of Gundam The Origin comes with MS Machine Gun, sheathed and unsheathed Heat Hawk, shield, and optional hand parts. Markings are replicated using tetron stickers. Runner x9, Instruction Manual, Tetron Sticker.